• See the Admin User’s Guide. recording of the video that you plan to search. Fig. 36. Motion button, for starting a Motion session. Fig. 37. 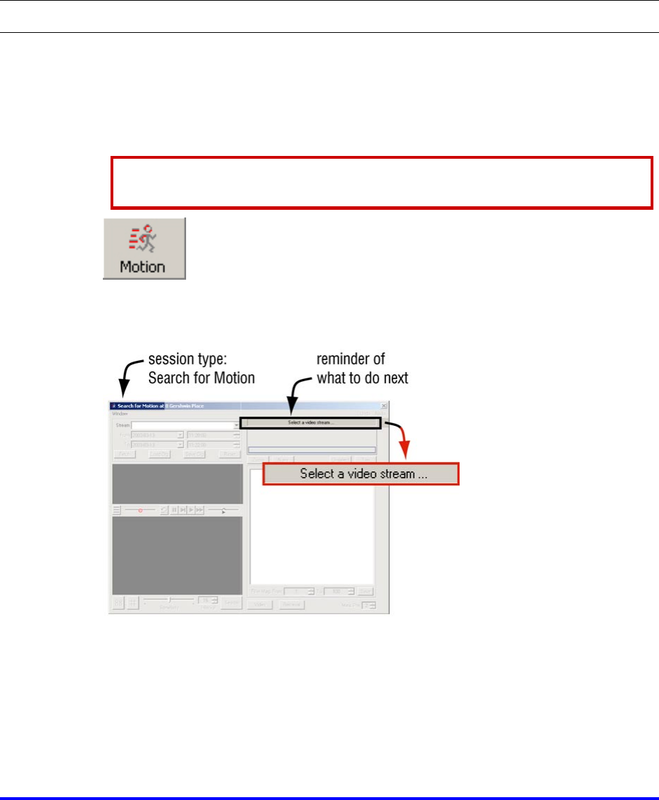 Online reminder of what comes next when searching for motion.